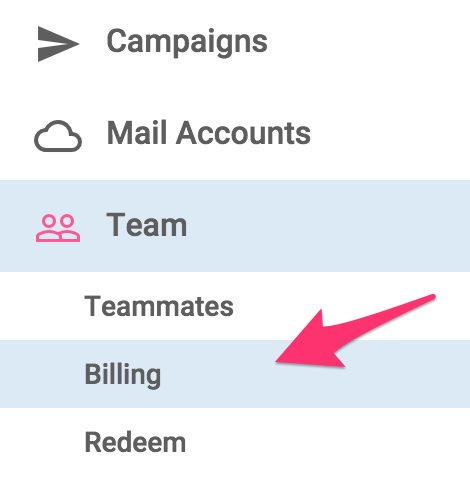 First click on "Team Settings" in the menu and then "Billing." 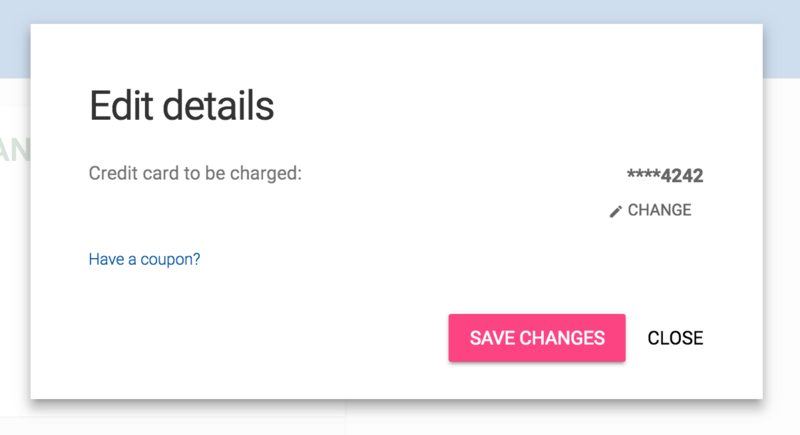 Click on "Change" and then "Change Credit Card, etc." 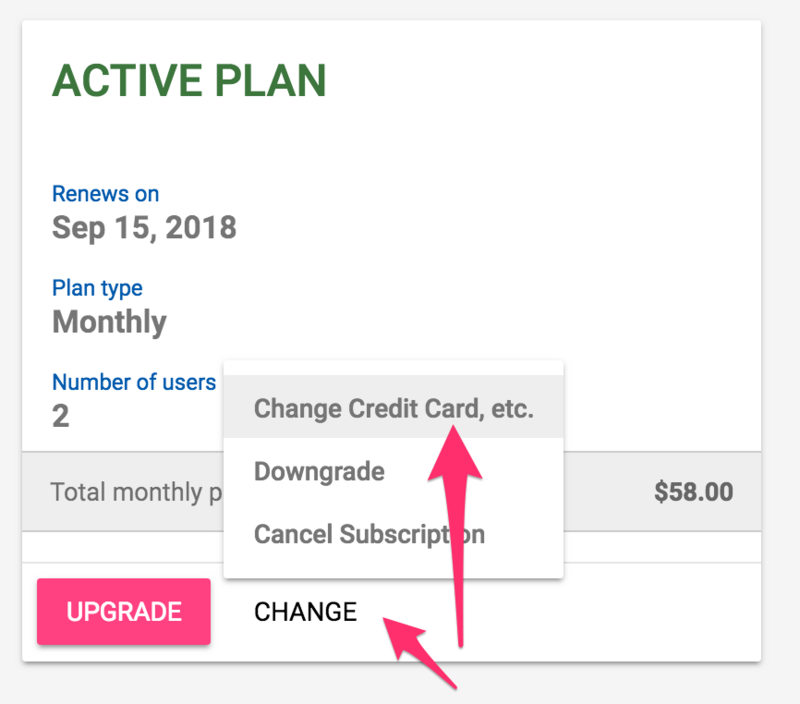 If you have trouble changing your card or see a "declined" message, we recommend clicking the "+" button and supplying a billing address.